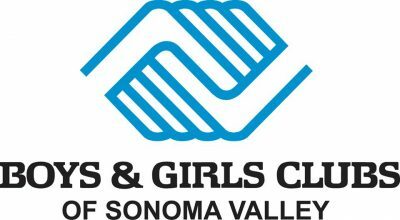 Boys & Girls Clubs of Sonoma Valley currently serves over 2,000 Members at 6 Clubs in the valley; Dunbar, Altimira, Flowery, Maxwell Clubhouse, Maxwell Village Teen Club, and Sassarini. We open our doors every day to achieve our mission to provide positive opportunities for youth and teens to learn, succeed and discover their full potential. We achieve our mission by providing all our members with evidence-based programs focused on establishing academic success, healthy lifestyles, and good character in the youth we serve. We provide these programs through our committed and passionate team of youth-development professionals and dedicated board and community supporters. 77% of 11th grade students and 63% of 9th graders report to consume alcohol on a regular basis. Over 59% (2,644 kids) of Sonoma Valley children are considered economically disadvantaged – these students qualify for free/reduced meal programs and report being hungry. These are not obstacles our kids or families should have to face alone. This is why we provide a safe, positive environment for our children where they can develop supportive relationships, have meaningful opportunities for participation, and receive recognition for meeting high expectations. Youth need the resources and tools to achieve academic success, choose healthy lifestyles, and demonstrate good character. Boys & Girls Clubs provide all of this and more for over 2,000 kids in Sonoma Valley every year.